The Dragons finished last season with a record of 13-3-3, which was the best season in program history. Drexel lost in the semifinal round of the Colonial Athletic Association Tournament to the University of North Carolina Wilmington in penalty kicks after earning a 1-1 draw. Drexel women’s soccer is coming off one of the best seasons the program has ever seen. The Dragons had a record of 13-3-3 last year, but suffered a semifinal shoot out loss to the University of North Carolina Wilmington, ending their great run. However, like any program, a great season most likely meant you had great leaders. And, in college, great leaders graduate. The senior graduating class included Jess Lowinger, Megan Mahon, Jourdan Halasz, Alex Vazquez, Sydney Douglas, Juliana Speroni, Courtney Wylie and Biz Matta. Head coach Ray Goon has done a great job with the 2013 recruiting class. The Dragons have recruited as low as North Carolina and as high as Massachusetts on the East Coast. Coming from high school to the Division-I level is tough because there are a few things to which every player must adjust. The coaching staff is lucky enough to have a very strong core returning for the Dragons to help these incoming freshmen out; Drexel has eight upper classmen they are counting on. “On defense, we have Eve Badana [in net], Melissa Chapman, Andi Stampone, and Alyssa Findlay,” Goon said. “They were part of a defensive unit that helped our team lead the conference in many defensive categories. Drexel also has some experienced players that will help put the ball in the net. But the Dragons will be missing some familiar faces due to graduation. “Our biggest loss will be the senior class as a whole,” Goon said. “They exhibited a tremendous amount of leadership on and off the field and that will be tough to replace. 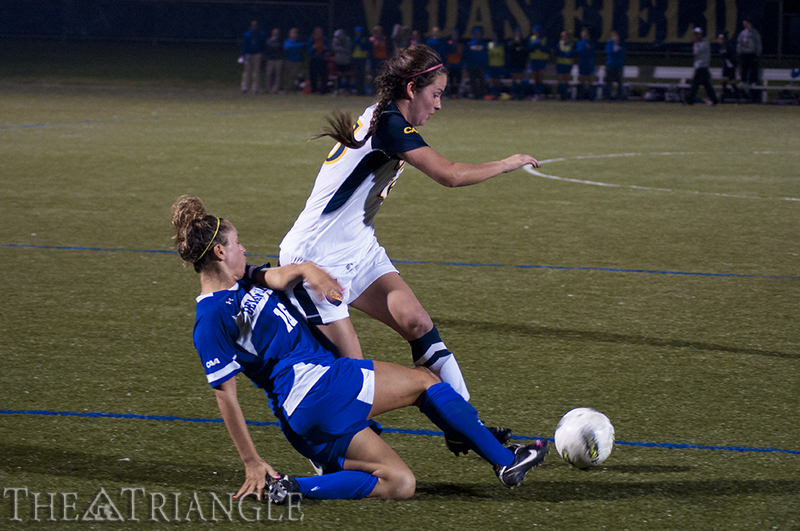 The team made the Colonial Athletic Association playoffs last year after finishing 6-8-5 in 2011. And even though the team more than doubled its wins in 2012, they are ready to move forward even further. Now that the CAA knows Drexel is a contender, their opponents will have a new outlook on the Dragons.